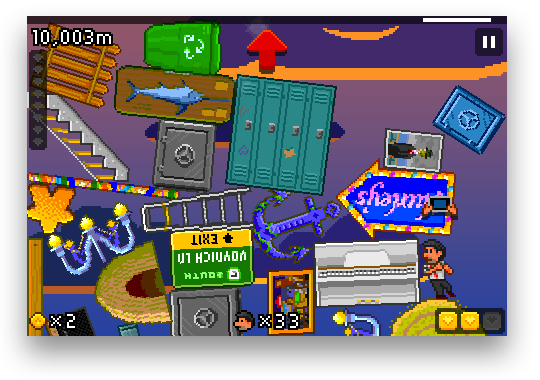 There are a ton of great games to play on the iPhone. Most of them have multiple levels and achievements to unlock. You wouldn’t want to lose your game progress and achievements in the event that you have to restore your iPhone. For jailbreakers, backing up data is essential. 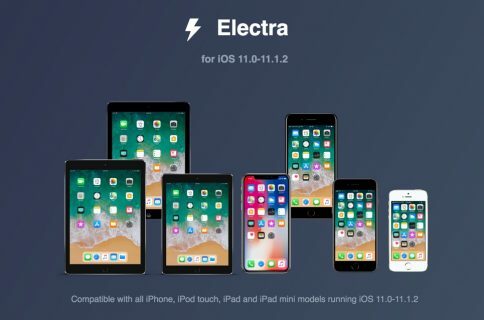 To upgrade to a new version of iOS, a jailbroken iPhone is completely wiped and updated to the default setup of the next iOS release. A new jailbreak has to then be applied, and all personal data (media, contacts, jailbreak apps, etc) has to be synced back onto the iPhone. You will be greeted by a blank window with a circular arrow at the bottom left corner and an info icon at the bottom right corner. 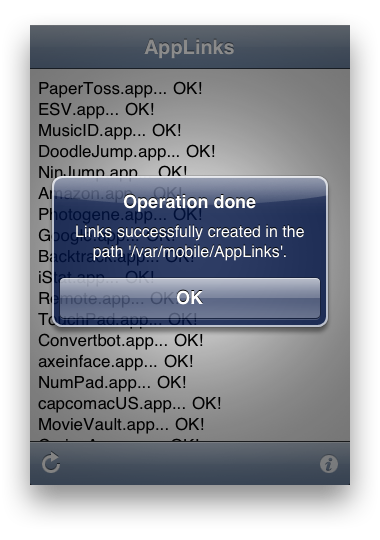 AppLinks will create a list of all of your currently installed apps in the blank window. This creates an easily-viewable method of viewing your app’s data when we use SSH to access your game info. 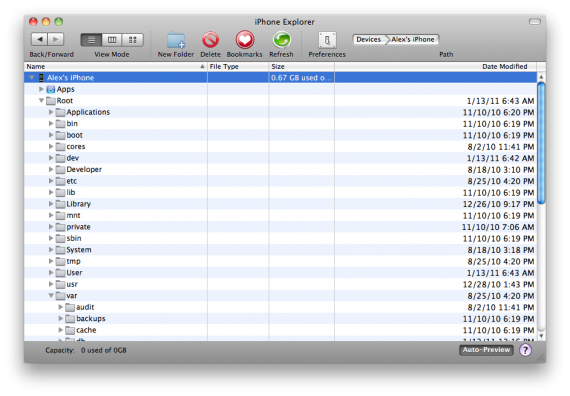 (Cyberduck, WinSCP) I prefer iPhone Explorer. 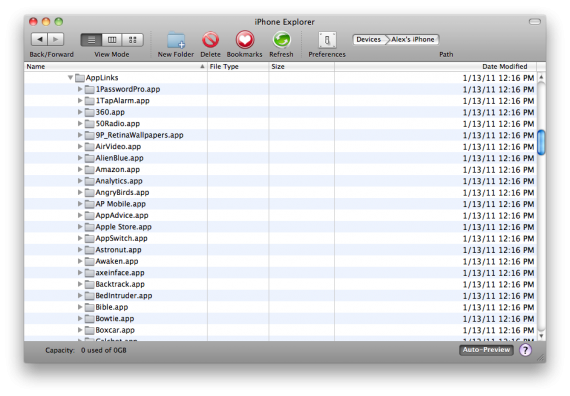 Here you will see a list of all your currently installed apps and their data on your iPhone. When you open the folder, you will see several files and folders. Use this method for any games that you don’t want to lose your progress in. Once you are done, feel free to restore and wipe your iPhone clean. After you re-jailbreak and re-sync all of your apps back onto your iPhone through iTunes, you can copy this data back into each game’s respective folder through your SSH client. Progress and achievement data is normally stored under “Documents” in each game’s folder, but sometimes this data can also be saved under Library/Preferences. If that happens, you will have to copy all of the “Preferences” folder (except for the com.apple.PeoplePicker.plist file), then drag that content back onto the iPhone again once the device has been restored. Sometimes the “Preferences” folder will only have the com.apple.PeoplePicker.plist file. That means that the game has its files saved in a different path. If that is the case for you, all you can do is look at the names of the files and figure out which contains the game’s save information. And remember, once you’re jailbroken, you can always just hack the Game Center achievement boards to trick all of your friends. Let us know in the comments if this tutorial worked for you. Do you play a lot of games that rely on saved progress? Was this tutorial helpful?